One of the highlights of living in Amsterdam are the fish stands along the canals selling fresh nieuwe herring served with pickles and onions, kibbeling (fried cod fish), and smoked mackerel. For just 3 to 4 Euros, you can get a whole mackerel, and it is amazing just eaten by itself. I’m always wary of trying to add too much to good seafood – there is nothing worse than a “salmon dip” that is mostly cream cheese, but smoked mackerel makes a potato salad so much better. This dish has become a staple of mine because of its simplicity, and it’s a great addition to a borrel – a happy hour gathering involving drinks and snacks. 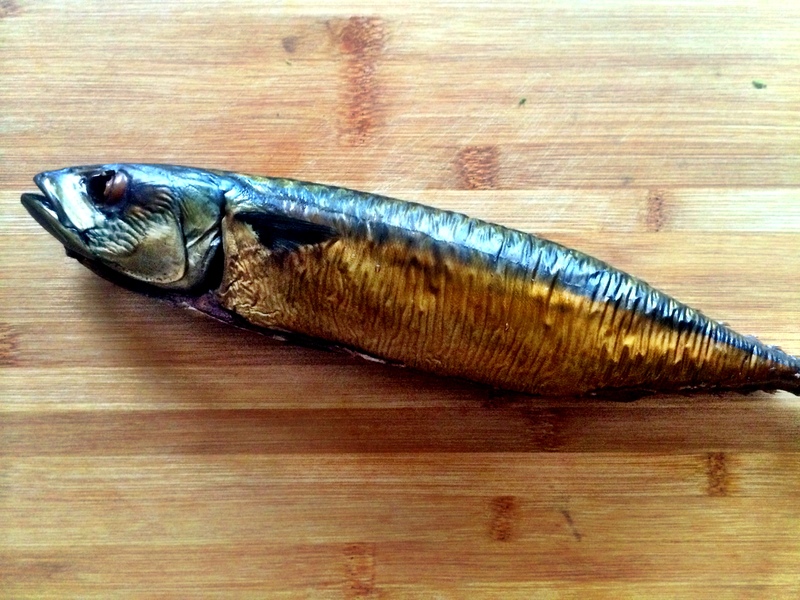 If you can’t find smoked mackerel, any other smoked fish will do. Place the potatoes in a pot of water, bring to a boil, and boil for about 20 minutes or until potatoes are easily pierced with a knife. Drain, and when cooled, cut the potatoes into bite-sized chunks. Meanwhile, remove the backbone from the mackerel, and tear the flesh into pieces. Take your time doing this and make sure to remove all of the bones. 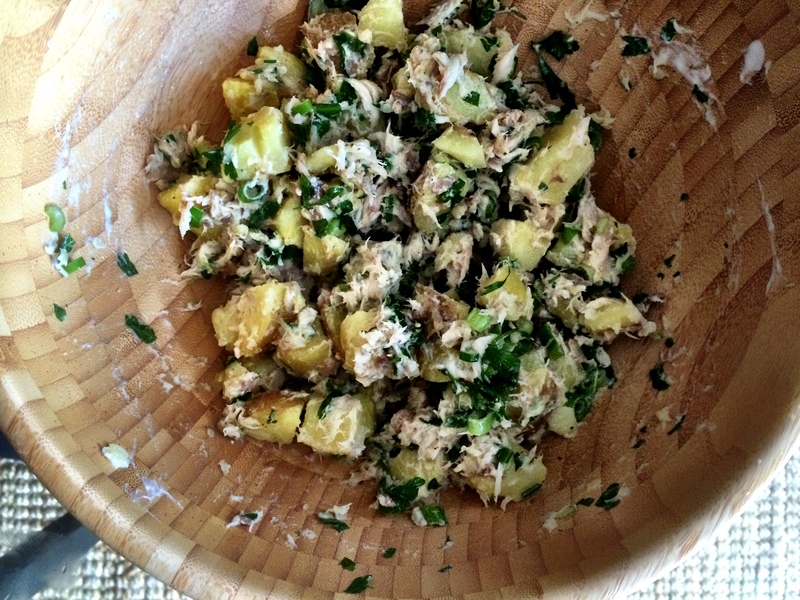 Mix the potatoes and mackerel with the green onions and parsley, and add olive oil and creme fraiche. Mix carefully, then add lemon juice, salt, and pepper to taste.